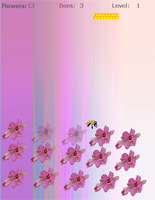 Bee Break Out is a Flash based game that is a variation on the classic "break-out" game. 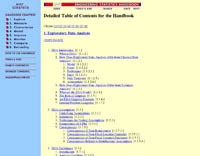 The NIST/Sematech Engineering Statistics Handbook is a website for teaching statistics to engineers. When I joined up with the project, there was no way of managing the content, so I created a Cold Fusion based content management system for the site. The system provides an easy way for chapter editors to edit the contents of their pages without viewing the html source code as well as a method for managing the table of contents.